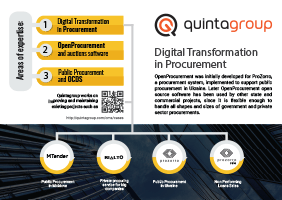 To ensure transparency and trackability of the Central database, web platforms, Auction module, other modules and system actors the OpenProcurement toolkit uses logging server. 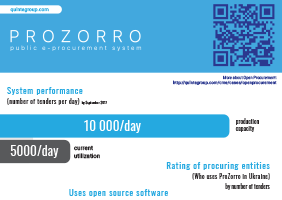 One of the OpenProcurement toolkit components is Log server. Its aim is to provide trackability and meticulous auditing. 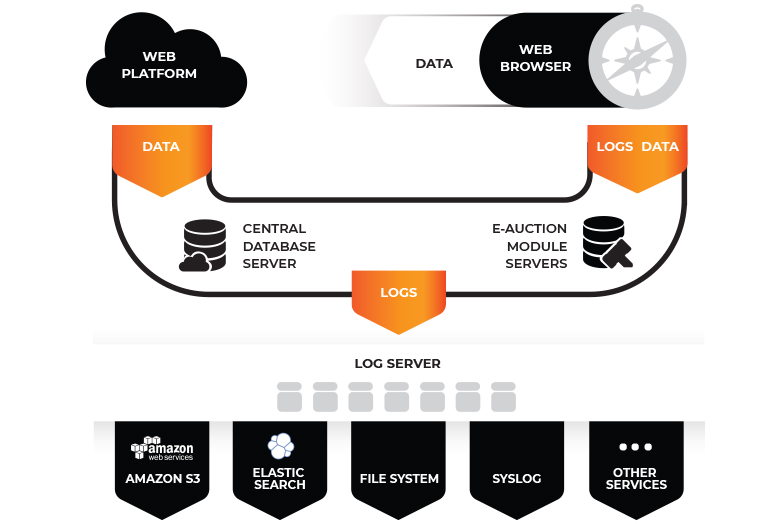 Log server ensures transparency of the Central database, web platforms, Auction module, other modules and system actors by collecting and storing system log files. Web platforms' logs that are generated during processing of their requests together with Central database logs provide complete tracking of the chain of events using ID correlation. Logs are archived for auditing purposes. Online logs using syslog protocol, JSON. Logs in text and JSON formats periodically uploaded to Amazon S3. Public log - excludes the following types of information: that identifies the web platform that conducts transaction; and that can identify tender for which the price offer was posted in the system. 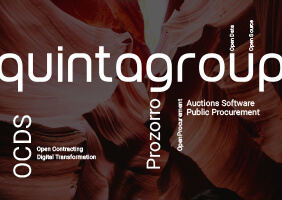 Detailed auction log - is published after the end of the auction. Log about web platform request results. Central database logs all requests from web platform. Log messages are collected and sent to the platform to provide data on request processing. Only web platform has access to its own request logs. Administrative edits log - contains information about all cases of administrative edits. Log of administrators operations on servers - includes all connections to servers and information about the type of activity performed on servers. Full log for auditing purposes.